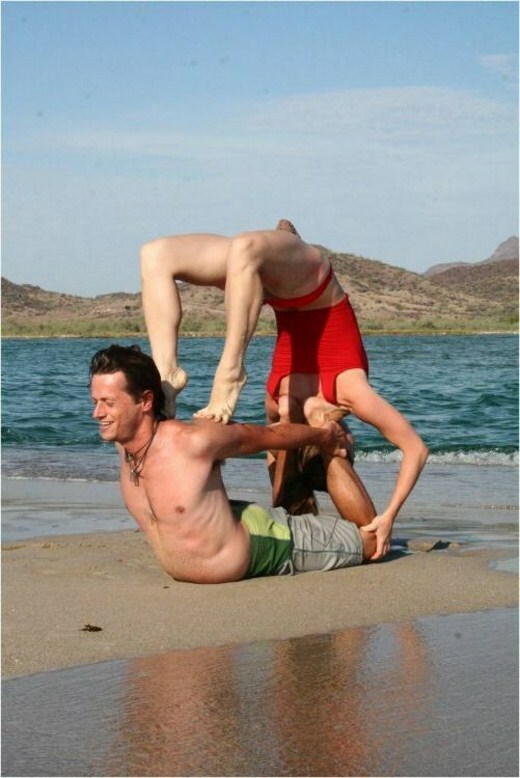 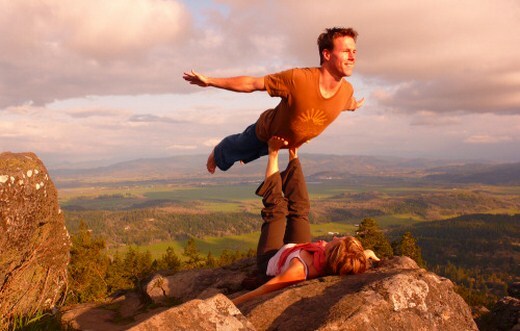 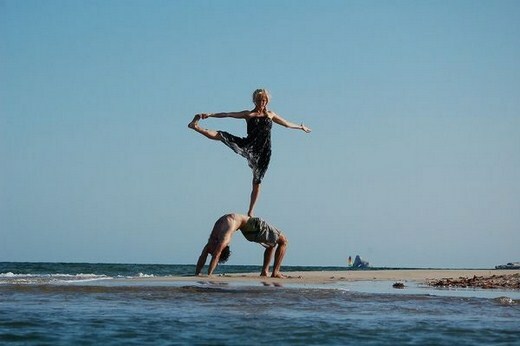 AcroYoga is a form of partner yoga where two yogis work together for therapeutic release and acrobatic fun. 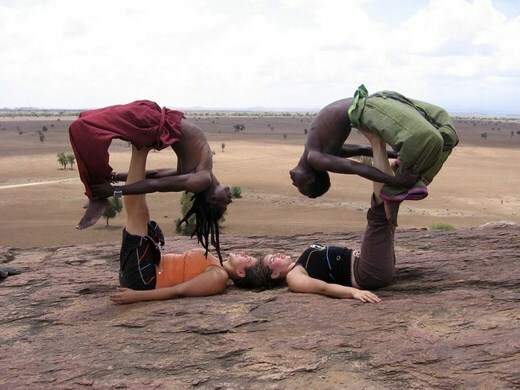 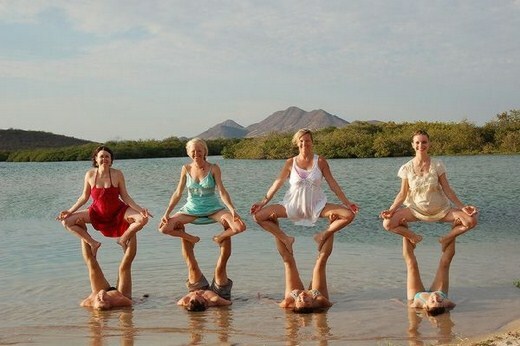 It is a physical practice which blends elements of yoga, acrobatics, and healing arts. 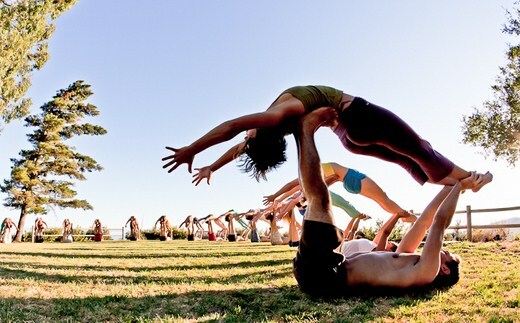 Founders Jason Nemer and Jenny Sauer-Klein met in San Francisco in 2003 and began practicing together soon after, combining their backgrounds in yoga and acrobatics to create supported versions of traditional yoga poses with the intent to build human connections and create community.